Solvent extraction process reffered to as diffusion of solvent into oil-bearing materials by means of solvent to get a solution of the oil in the solvent. A typical solvent used is hexane, a by-product of petroleum. 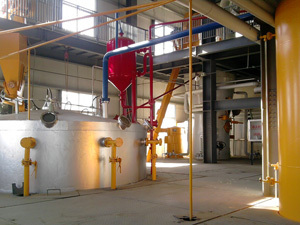 With extensive research and consideration of various factors such as commercial economics, edibility of the various products obtained from solvent extraction process, physical properties of the solvent especially its low boiling point, solvent hexane is considered to be the best and it is exclusively used for the purpose. 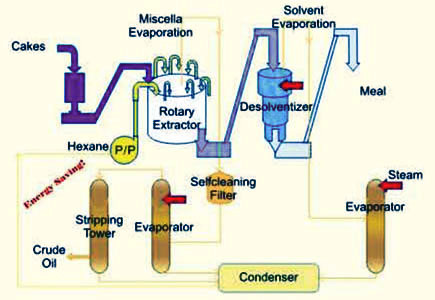 There are some necessary solvent extraction processes in the entire solvent extraction plant. 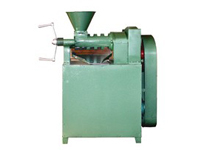 The solvent extraction process comprise of raw material preparation,solvent extraction, desolventization and miscella distillation. First of all, take proper preparation of materials before extraction. Because it ensures oil-bearing material fully in contact with the solvent. he smaller the material size, the better is the penetration of the solvent into the oil-bearing cells; but too fine a size will prevent the solvent form percolating through the mass. Then, the prepared material will enter into the solvent extractor. During the movement of the bed through the extractor it is washed continuously at various points with miscella of decreasing concentrations and finally with a fresh solvent in a counter current manner by means of sprayers kept in a line over the meal bed. After the process of extraction, the material is discharged from the band conveyor into an airtight chain conveyor, which conveys it to the desolventiser. In the desolventizer the material is heated to about 100°C by jacketed steam, and thus the absorbed solvent is evaporated into vapors (boiling point of hexane 67-70°C). Note: We accept enquiries in English, Español (Spanish), Русский язык (Russian), Français (French) and العربية (Arabic). Our professional team will reply to you within one business day. Please feel free to contact us to get more info about our products and detailed solvent extraction process!